Jorge Llovet creates inspiring images which can be found in the world’s leading newspapers, films and advertising campaigns. 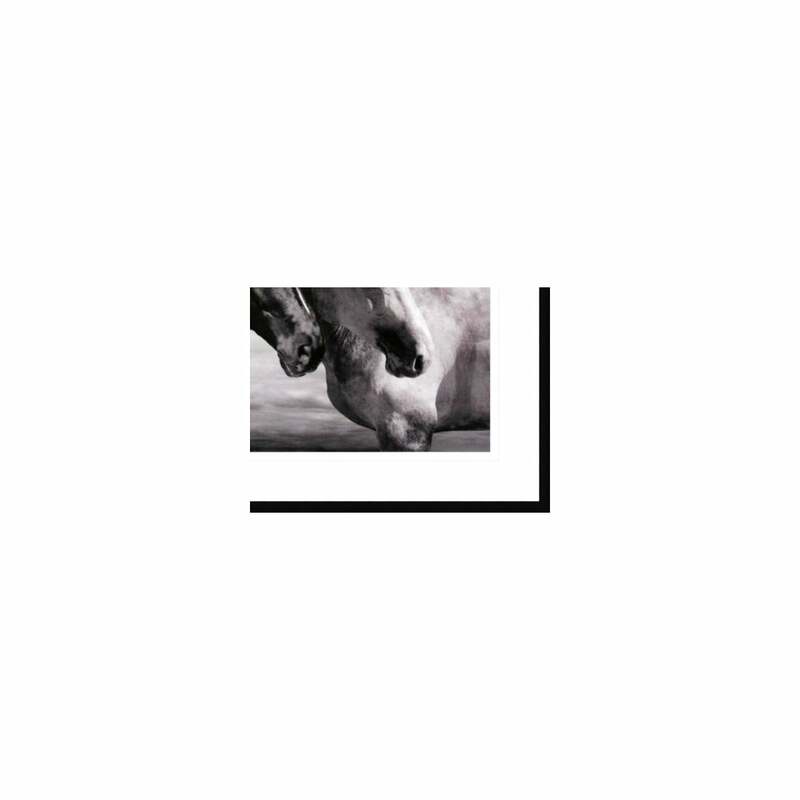 The Mellow Meadow Horse Portrait is skilfully hand-printed from original negative. 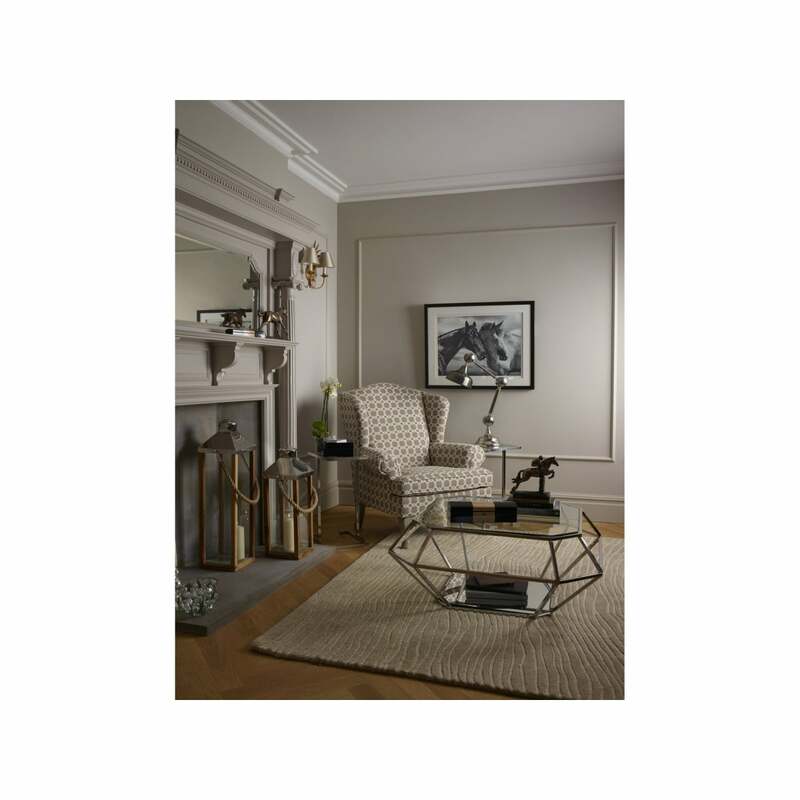 The stunning Framed Print commands attention. 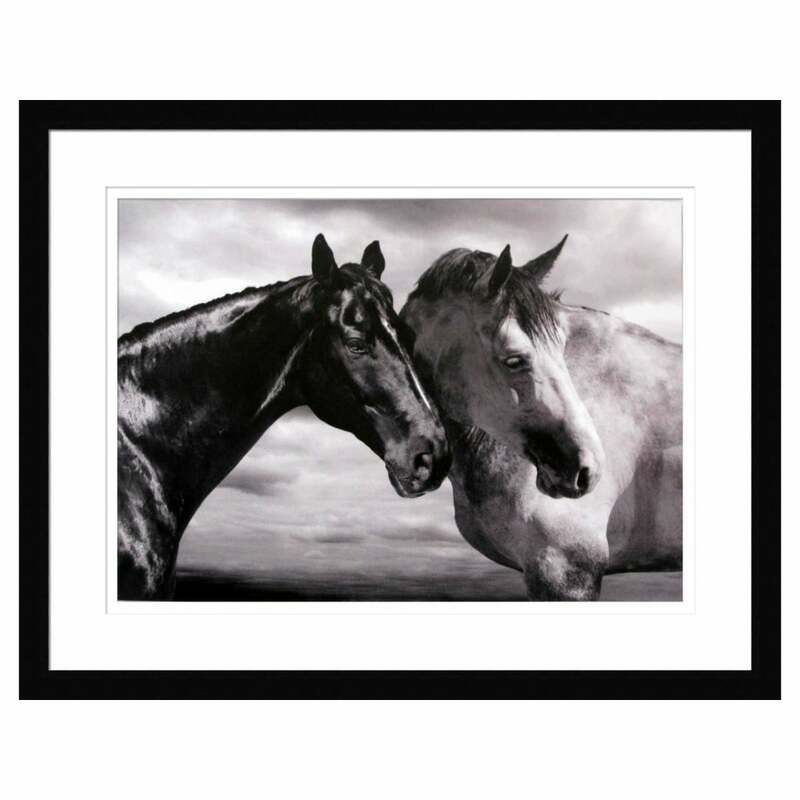 The black & white scene illustrates two beautiful horses in tremendous detail with a moody cloud scene in the background. 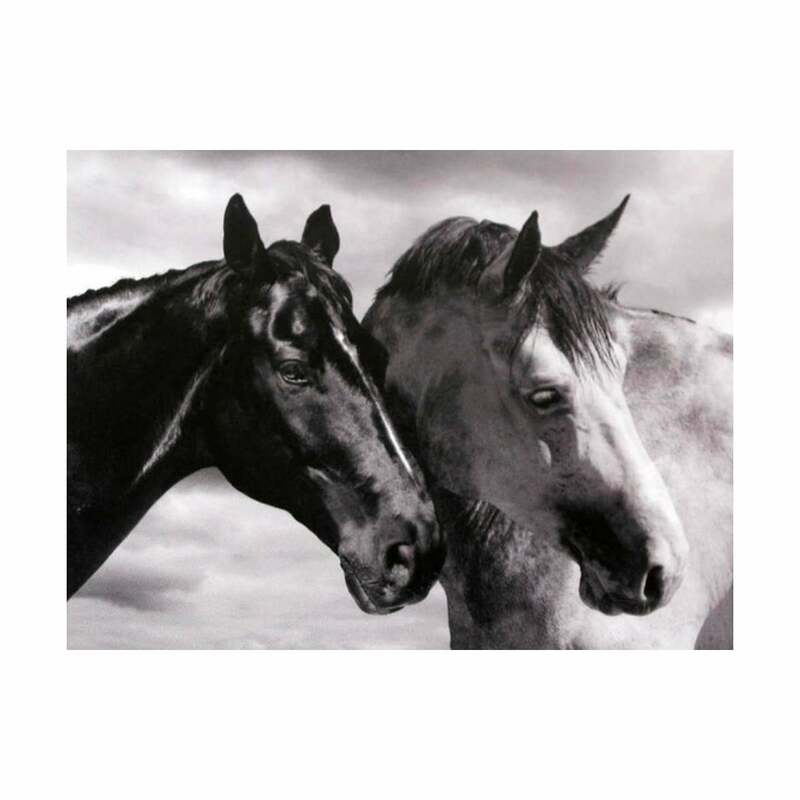 The bond between the horses is very evident in this image, letting your imagination wonder to adventurous times of life across the moors. This beautiful horse print has a white mount & black frame to continue the monochrome theme and enhance any wall space. 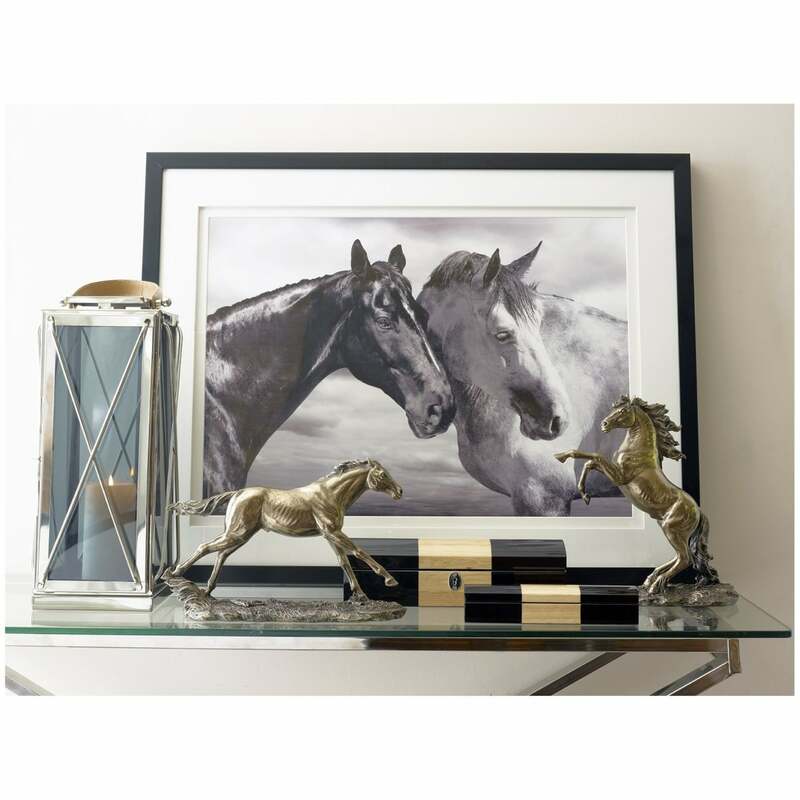 Whether you wish to display wall art in an intimate corner of your home or in a corporate setting, this wonderful Horse Portrait by Jorge Llovet offers classic imagery for any seeker of wall art.